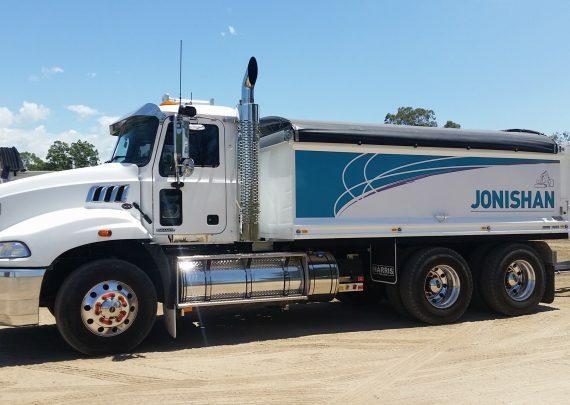 Jonishan are excited with the new Mack Truck & Dog being the latest addition to it’s large fleet of plant & equipment. The Truck & Dog is available for hire. Contact Adam Crim on 0419 293 113 for details.